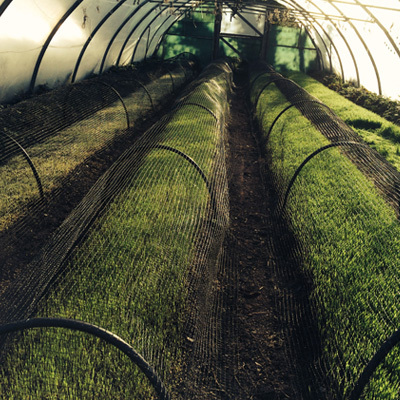 At Manna we grow and sell fresh cut and frozen wheatgrass. 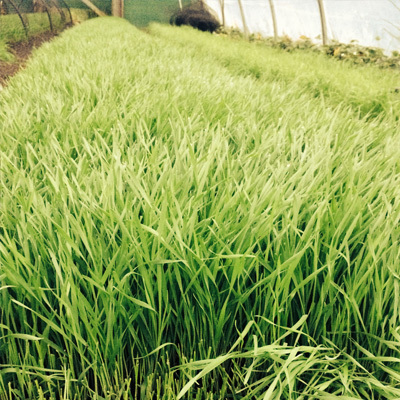 We have been growing and selling wheatgrass for several years now. We know from drinking the juice ourselves how amazing it is. 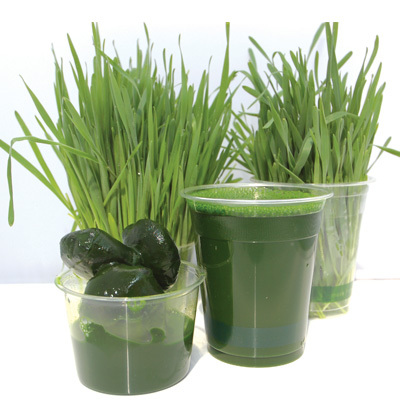 Wheatgrass is a plant capable of adsorbing all the minerals and elements essential for optimum human health, but it can only do this if it has what it needs in its growing environment. We initially grew and juiced wheatgrass just for ourselves. Thomas did a lot of research on renmineralisation of soil and human health; specifically to improve the quality of food we grow ourselves on the farm. 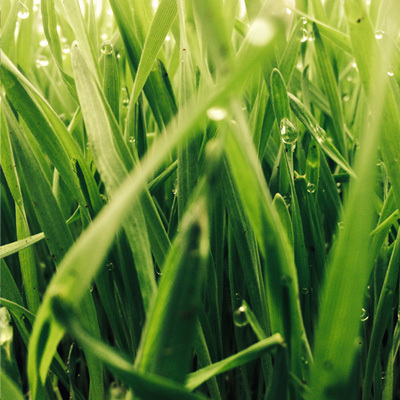 While doing this research he discovered wheatgrass can take up more minerals and nutrients from the soil than any other plant. And wheatgrass presents these nutrients in a way that is bio-available to the person consuming the juice. So it is a nutrient dense juice, as well as being the most alkalising food product you can take. Gradually our customers started asking for some of whatever was giving us our energy, and some had been trying to find wheatgrass in the locality and couldn’t source it. 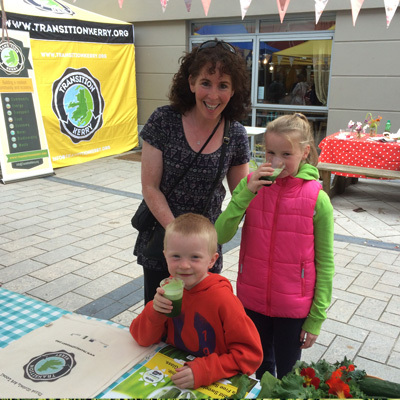 Following a talk by Bernadette Bohan in Killarney, the demand for wheatgrass in Kerry shot up. 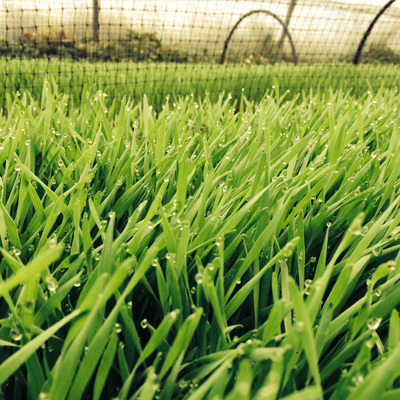 So we started to sell the fresh cut wheatgrass in our shop, “Manna Organic Store” in Tralee. 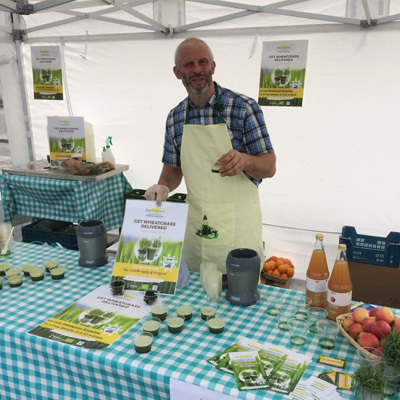 However, not everyone has the time, or the strength to get up a half hour earlier than normal to juice their own grass, and people started to ask us to juice it for them. Wheatgrass juice must be consumed fairly quickly after being juiced or it looses some of its nutritional value, so we started to look at options for preserving wheatgrass juice. After much research we realised that Freezing is definitely the best way of keeping the maximum nutrients and health benefits of our wheatgrass. Sweetgrass was Born. 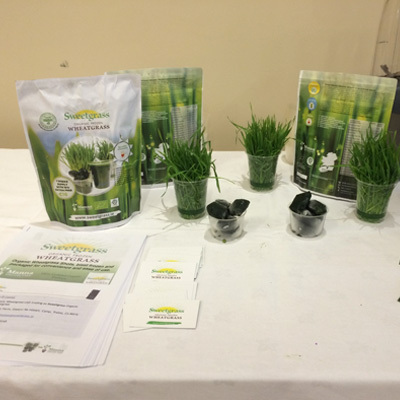 Sweetgrass, Organic frozen wheatgrass shot’s are a very convenient way to consume wheatgrass. It can be bought in advance, several weeks worth at a time. It takes less than five minutes to defrost or 30 seconds to make a Sweetgrass Smoothie. 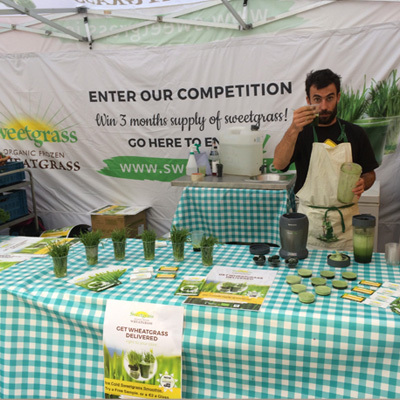 At Manna Organic Farm & Store our objective with Sweetgrass is to bring all the benefits of wheatgrass to our customers in a convenient and enjoyable form, while maintaining its maximum health promoting qualities. This is our focus at Manna organic farm with Sweetgrass. 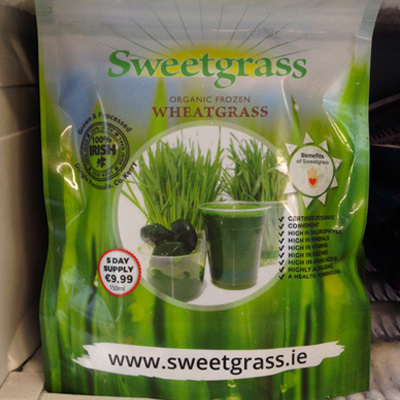 Buy your Sweetgrass directly online on our www.sweetgrass.ie page or call into Manna Organic Store in Tralee. You can also find Sweetgrass in your local Supervalu store as part of their “Food Academy Programme” for local Irish producers. Check out our “Sweetgrass Location Map” to find a store near you. If your local super value or health store does not have Sweetgrass, ask them to stock it. SEA-90 is one of the most complete mineral and trace element product ever offered for agriculture! SEA-90 sea mineral solids are 100% natural and water soluble. The full spectrum of minerals and trace elements in SEA-90 are perfectly proportioned and balanced to sustain optimum biological life. Consider that the elements in sea water are at essentially the same ratios as human blood, and that sea life living in pure and balanced ocean water seems to be immune to cancer and other degenerative diseases. SEA-90 is the product of 30 years of research by Dr. Maynard Murray that proved soils enhanced or remineralised with sea minerals grow superior crops. Dr. Murray shared his knowledge and research with Robert Cain who is the founder of SeaAgri.com. SEA-90 is provided exclusively by SeaAgri and its authorised distributors. 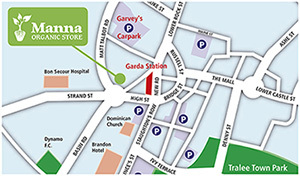 Manna Organic Farm and Store is Ireland’s Official Distributor.